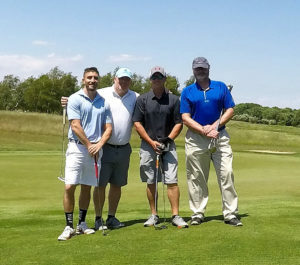 The calm wind conditions and warm sunny temperatures set a perfect tone for Saturday’s Head Pro/Superintendent’s Revenge member golf outing. Although the weather was easy to cope with, the golf course certainly was not. 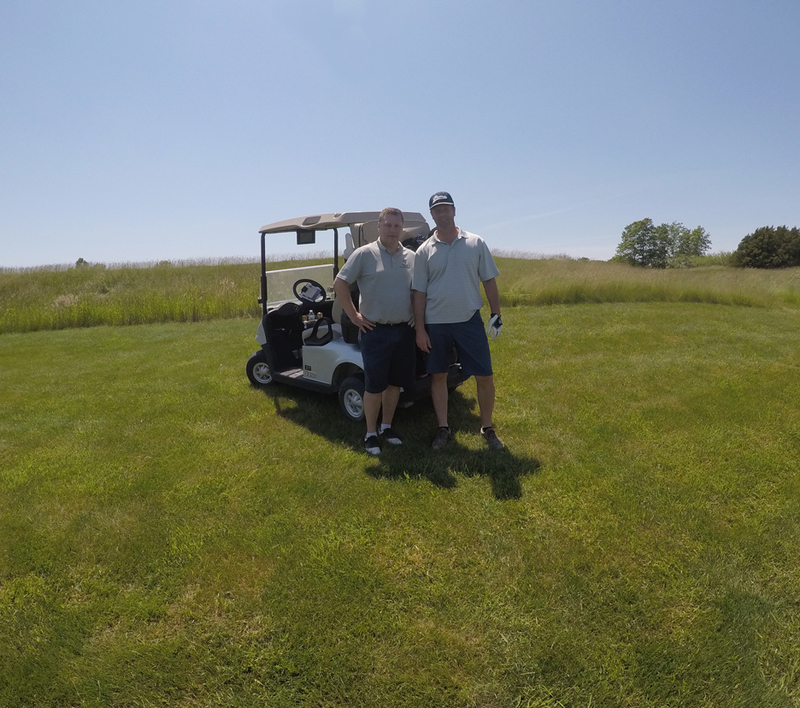 Superintendent Scott Roche, and Head Professional Andy Farrea, put their heads together to come up with a golf course set up that was certainly the most difficult that NNGC membership has ever seen. 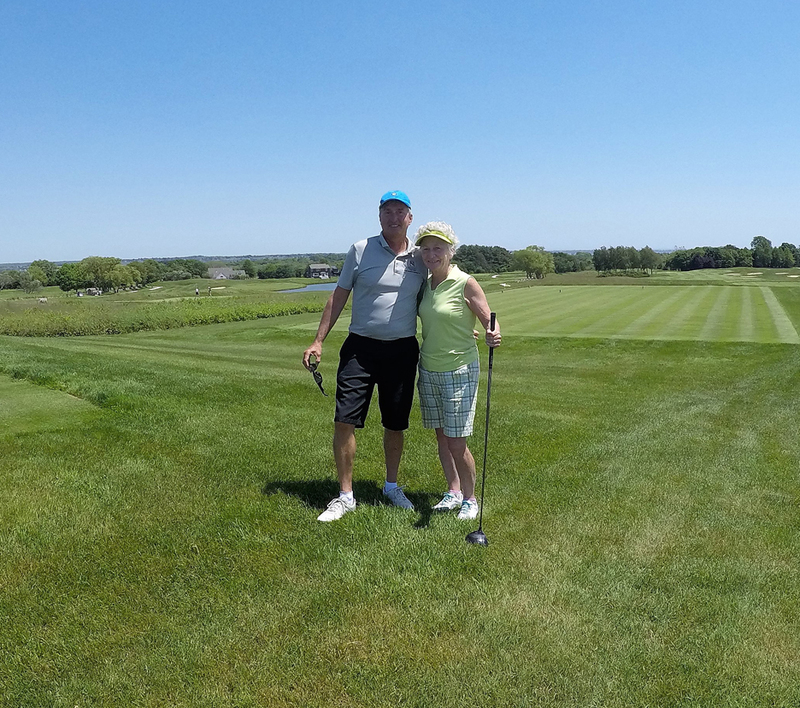 Dire hole locations, firm conditions, slick greens and difficult tee set ups made par seem like a near insurmountable score. Players of all abilities enjoyed the challenge and held their heads high as they took on the best Newport National had to offer. Member Peter Alexander brought in 3 guests for the event, forming two separate teams. 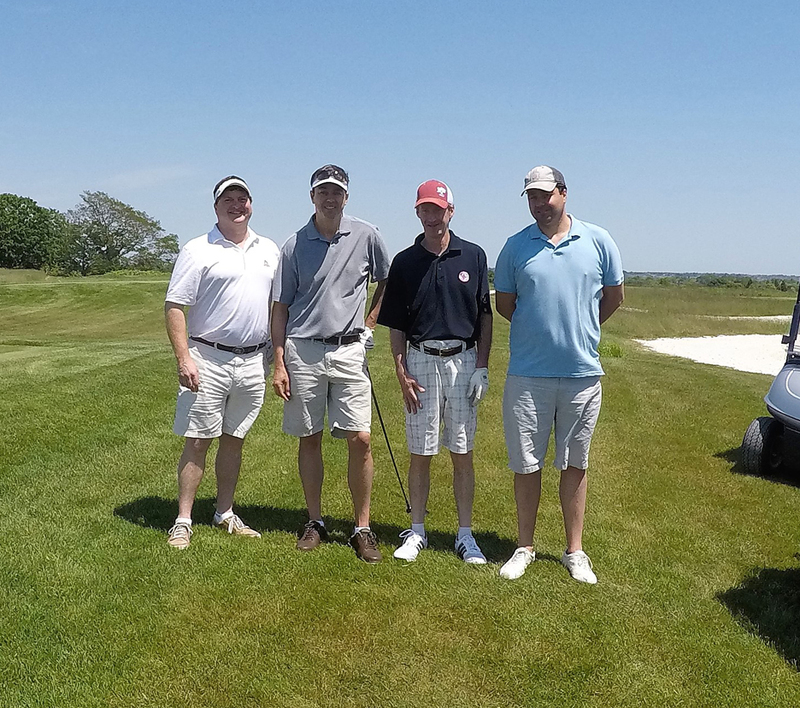 His second team pairing of his brother, JC Alexander, and guest Michael Tracy sizzled their way to a 5 shot victory in the gross division with an impressive score of 77 in the best ball event. 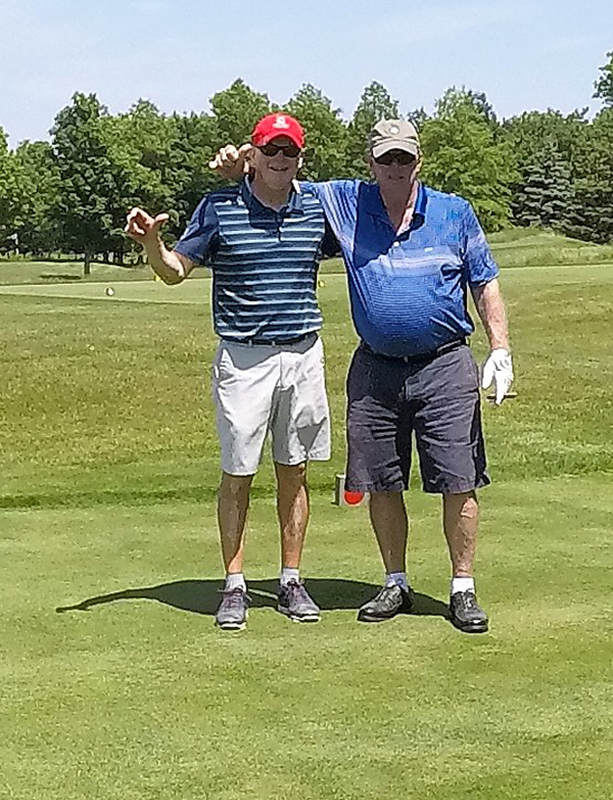 Mr. Tracy also took home the longest putt prize, sinking an 11 footer on hole 10, which may have been the most difficult hole location on the course that day. 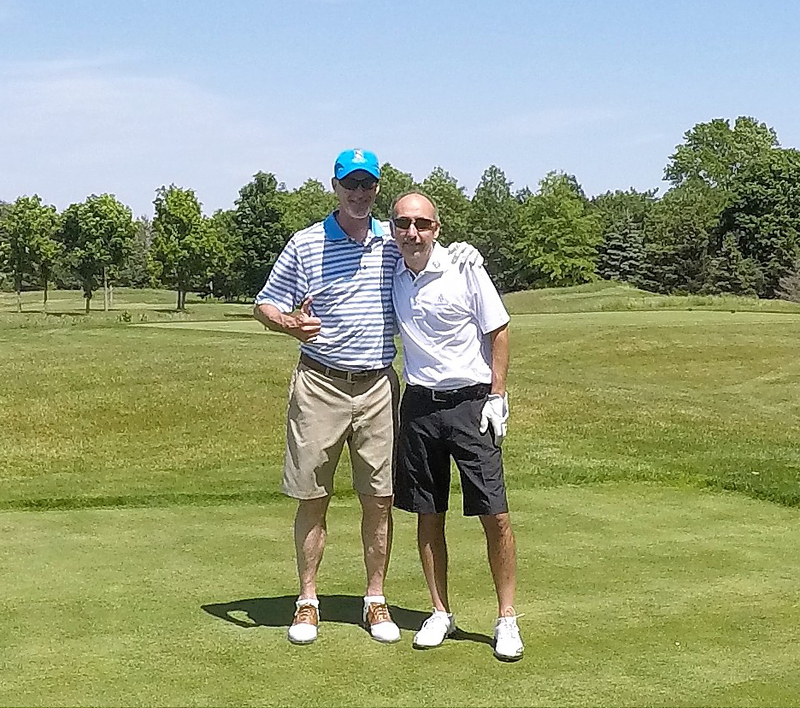 Along with the gross division championship and the longest putt title, Mr. Tracy was one of only two people to “beat the pro” and outdrive Golf Shop Associate, Christian Maselli, to earn himself a spot in the end of round chip off for the beat the pro prize. Once again, Mike rose to the occasion and won the chip off, bringing home 3 of 4 available prizes! 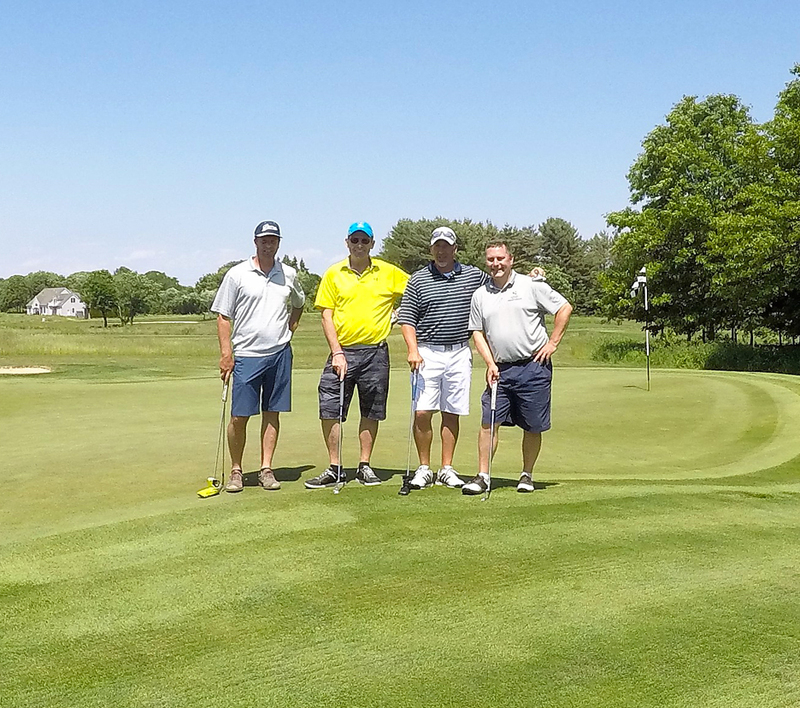 Had it not been for a 30+ sliding birdie putt that was sunk by Mike Harney’s guest, Matt O’Malley, the team of Tracy/Alexander would’ve accomplished the extremely rare feat of a clean prize sweep. 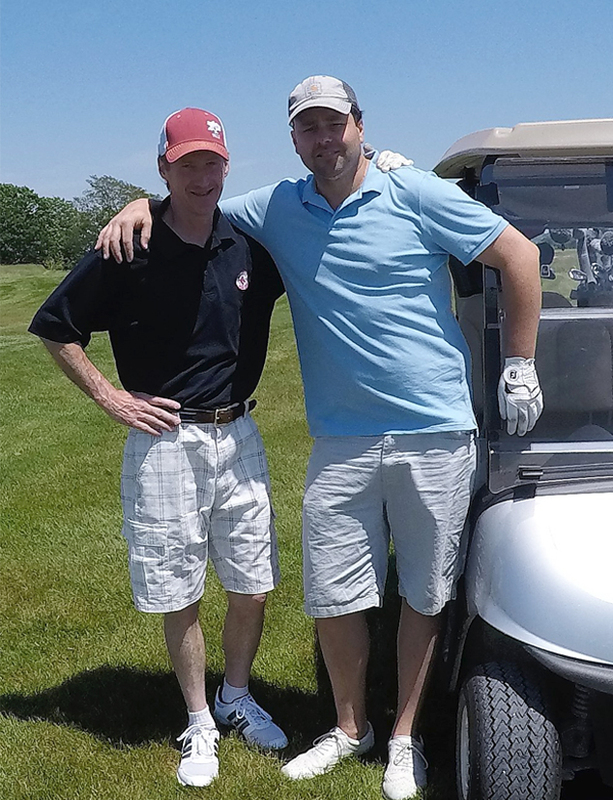 Mr. Harney also birdied the vaunted 17th hole on the way in to help his team secure the Net division title with a narrow 1 shot victory. 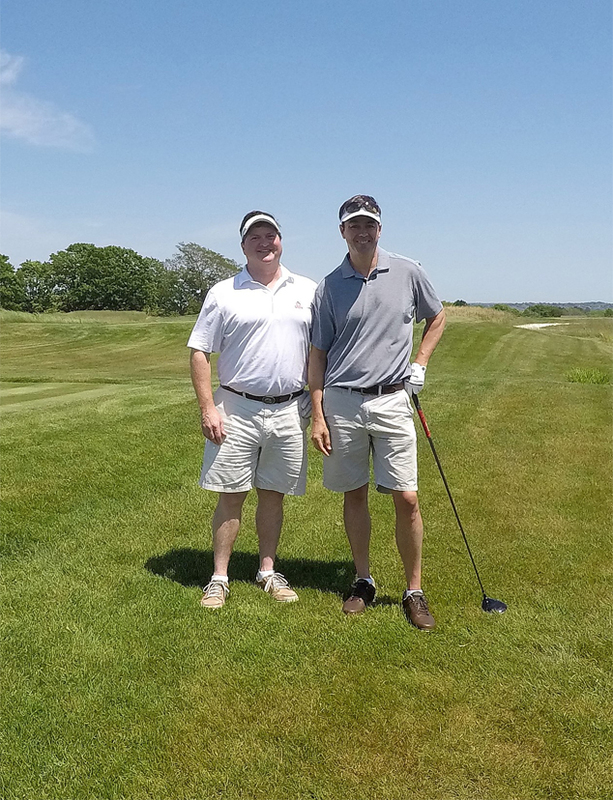 It was a great day for golf at one of New England’s finest golf courses. 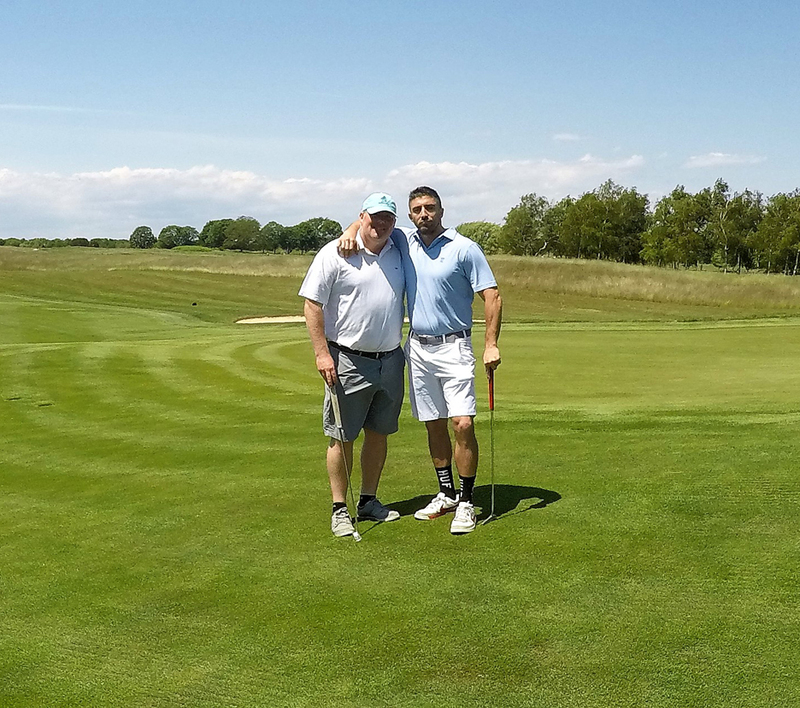 The course set up was the talk of the day, as even some of the daily golf guests wanted to challenge themselves by taking on the tournament tees for the event! 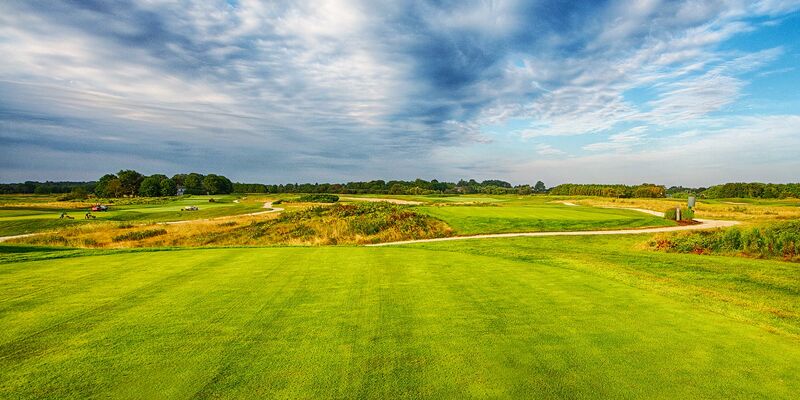 Next up, NNGC membership starts to plan their partners for the flagship event of the summer, the 2017 Summer National. 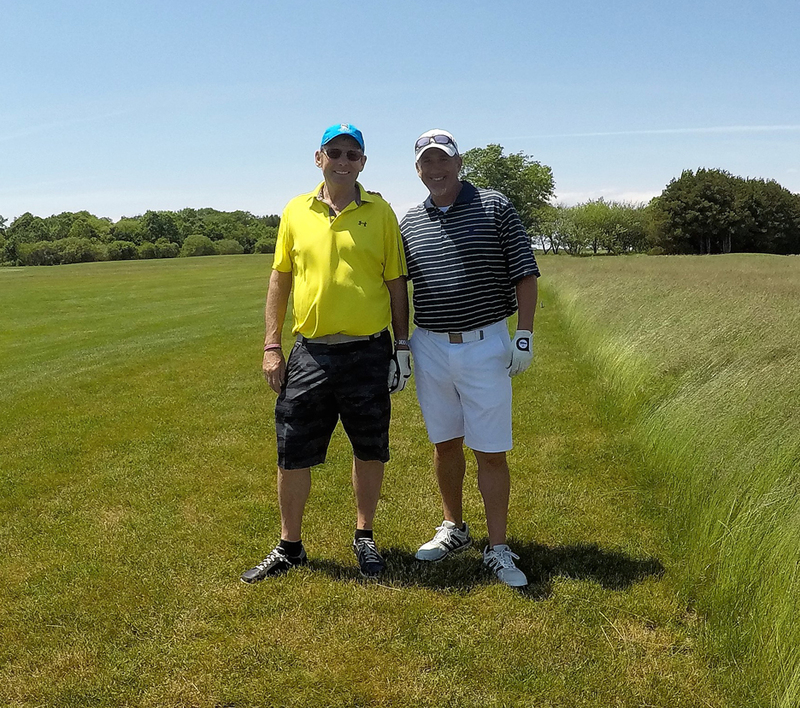 The Summer National is a best ball event where members bring 1-3 guests in order to take their shot at claiming the crown jewel of championships for NNGC membership. Defending champion, Jeremy Rohrs, will be back to defend his title in what is sure to be the event of the summer at Newport National.